HITACHI-HYUNDAI (Japanese-South Korean) Imported in 1991. 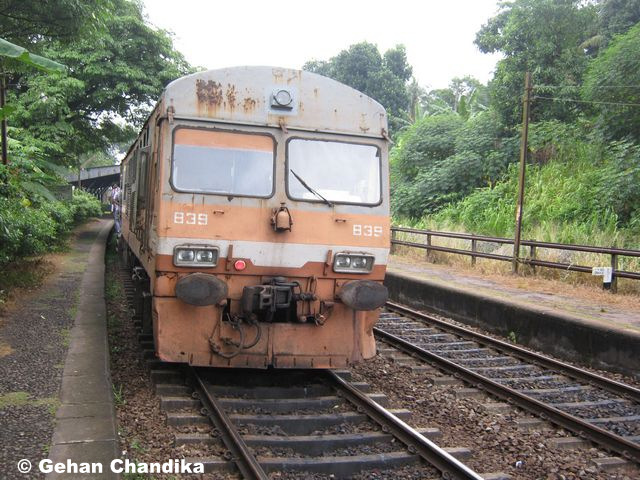 Considered as the best diesel multiple unit ever imported to Sri Lanka. Has four (4) passenger compartments including dummy control unit. No vestibules between two compartments which gives more ability to run trough sharp curves especially in ‘Kelani Velley’ Line. This class S8 was the most successful DMU in Kelani Valley line as per above mentioned reason. Almost all units are in service. Nothing withdrawn. But faced many accidents.